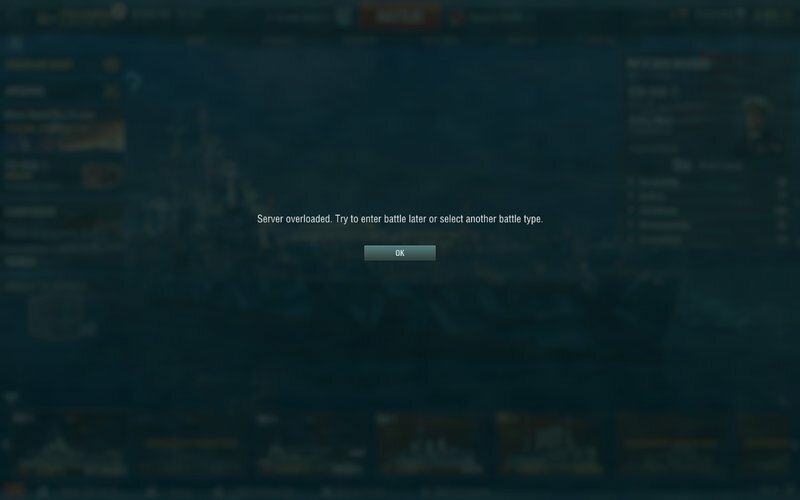 I was in the middle of a random battle in the Prinz Eugen when it appeared I got disconnected from the server (maybe 30 minutes ago). Battle was maybe half over. After I logged back in, instead of loading back into the battle or seeing a battle result notification, instead I'm looking at the Prinz in port, signals still mounted (signals not set to auto mount), as if that last battle never happened. I hit the battle button and que up for a new battle. Did anyone (or has anyone) experience this also? 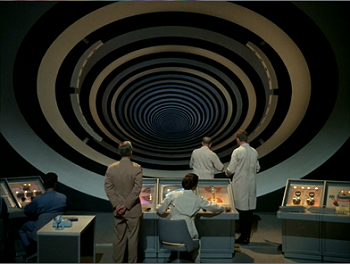 It seems that the Time Tunnel was more than a cheesy mid 1960's TV show. Things are a bit finicky right now- might want to wait a bit. Had it twice so far tonight. They need to invest in a new Hamster! They are not highlanders,ya know, WG. Yep, came to the forums to check for this very issue. Got my first overloaded warning. Nope. Something is up. 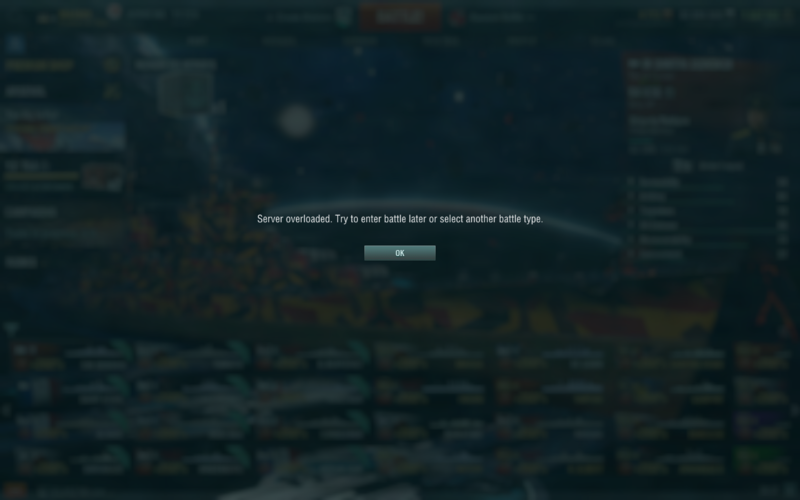 I could not get into a coop game three times in a row with different ships and got a server overload message each time suggesting I change tiers or battle type. I tried random with a different ship and the game locked up completely. This happens when you play on a Mac but not like this. I got kicked out of trying to enter a match with the "server overloaded" warning message. 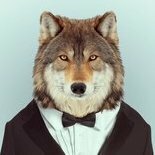 Yeah, something is up with the NA servers today. See 2 CV / 5BB (including me as Yamasushi)/ 2CA / 4DD in queue. Server overloaded. Same, multiple attempts, Tier IX, Random Battles. "Server Overload"
Twice for me as well. I'll come back later on. Four times in a row. Unable to get into battle for the last 15 minutes. They done broke the wagon. 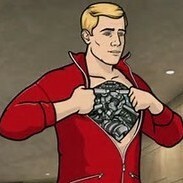 I am experiencing the same server overload issue. Never happened to me before. Anyone know what this is about? Actually just about about 30 mins I dc/d out of battle that was mid way through and instead of taking me back in when i relogged I was back in port and my ship was not in a battle... never seen that before. Something is up. My guess is some scriptkiddys trying to ddos ?